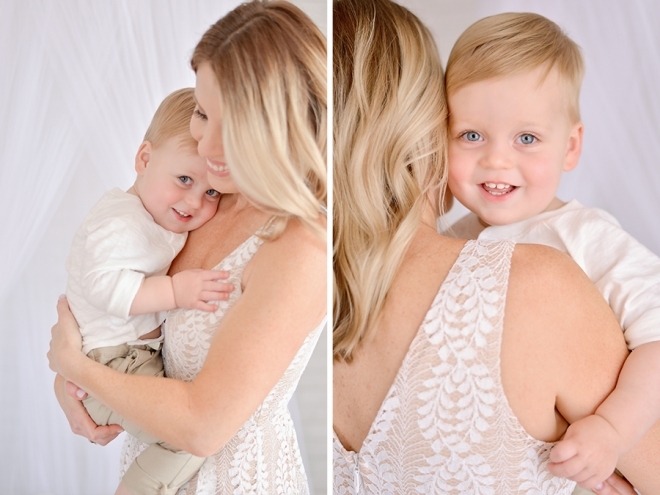 Announcing Mother’s Day Mommy & Me Mini Sessions! Come join me in the studio for some special snuggles with your babies. 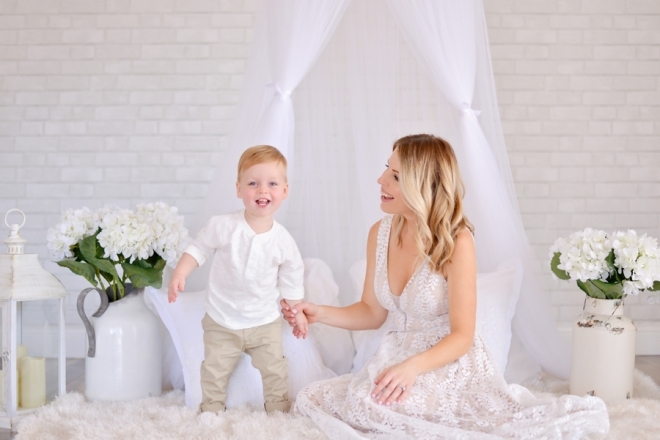 A relaxed setting where we can capture the pure & simple bond of a mama and her children. It’s far too often that we are the ones taking all the photos, yet never in them. Take the time to document these special years. This year I have a special setup filled with a fresh bright white palette, including a tulle canopy, white hydrangeas and gorgeous rustic vases and lanterns. This year I will also have a Hair & Makeup Artist at the studio so you feel pampered & beautiful. She will be offering a petite hair & makeup session, which will include lashes, lips & curls in your hair. This is an add on item to the Mommy & Me session at her reduced rate of only $90.